The lines between television, movies and streaming services are blurring. A broadcast network has started its own streaming service. TV shows like "Doctor Who" and "Game of Thrones" are screening in theaters. And now a streaming service has its own Oscar contender. 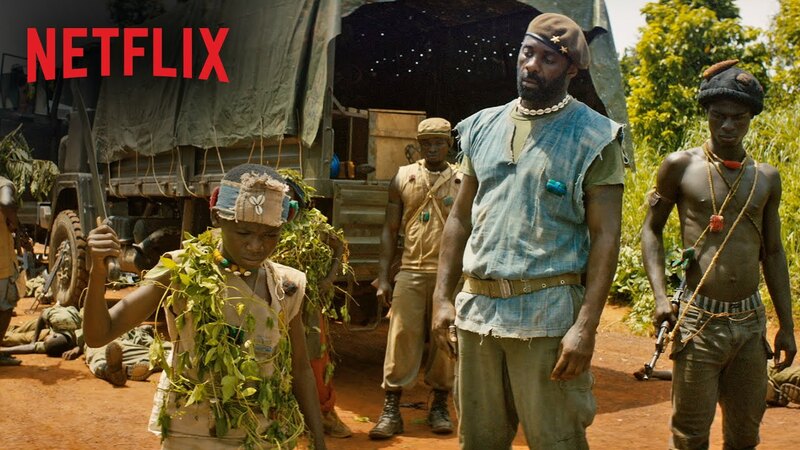 Last Friday, Netflix released the acclaimed drama “Beasts of No Nation” simultaneously on its website and in movie theaters around the country. It didn’t open in Madison, and several large movie chains like AMC boycotted the film because it was also streaming on Netflix. But it was a bold attempt by Netflix to change the rules of the game. And, more importantly, “Beasts of No Nation” is a good movie no matter where you watch it, a searing and at times stomach-turning film about a young West African boy trying to surviving a brutal civil war. “Whatever happens, God is testing us,” the father of Agu (Abraham Attah) tells him. It is a terrible test for a young boy to endure. Director Cary Fukunaga (“Sin Nombre” and the first season of “True Detective”) opens with a few scenes of deceptive normalcy in Agu’s village in an unnamed African country. He hears scraps of information about competing political groups, government and rebels, and sees the faces of the elders in his village go grave. Fleeing encroaching rebel forces, Agu and his father are caught by government soldiers who assume they are rebels. Agu’s father is executed before his eyes, but Agu gets away and disappears into the jungle. Here and elsewhere in the film, Fukunaga contrasts the ugliness of civil war with the beauty of the landscape; in one long shot, it looks like Agu could be swallowed up whole by all this lush greenery. 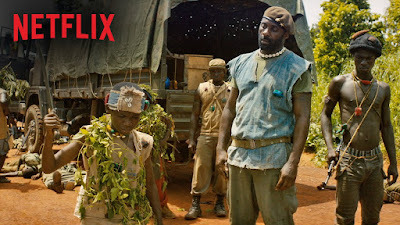 Agu is discovered by a rebel battalion made up largely of child soldiers, run by the mercurial, paternal Commandant (Idris Elba). Facing death otherwise, Agu is forced to join the Commandant’s group and train with the soldiers. Elba is terrifyingly charismatic as the powerful Commandant, and it’s not hard to believe that impressionable, emotionally damaged young boys would fall under his sway. Fukunaga presents the soldiers’ outpost as sort of a distorted summer camp, where older boys mentor younger boys in the ways of violence, where the soldiers sing songs of death and dance around the campfire. Agu’s indoctrination into the group feels like a hallucination, and when the soldiers raid a village, killing everyone in sight, the grass and trees turn from green to pink, heightening the unreality of the situation. “Beasts of No Nation” spares nothing in showing the cruelty of this war. There are times, such as when the boys come across a mother and daughter hiding in a mansion, when I think the film goes too far, almost savoring the brutality it depicts. But the strong violence is certainly effective in getting across the emotional trauma that Agu is experiencing, the guilt that he will carry with him after the war is over. Through these horrors that Agu witnesses (and perpetrates), we never quite lose our sympathy for him, as we understand he’s a helpless small cog in a much larger machine. By the end of the film, when Agu is trying to reclaim some sense of identity, trying to remember being the boy he once was, “Beasts of No Nation” is tremendously affecting. Also on streaming: If you can’t beat them, join them. That seems to be the strategy of NBC, which has been most pro-active among the networks in trying to join the streaming media revolution, putting all the episodes of “Aquarius” online for binge viewing as well as on television.